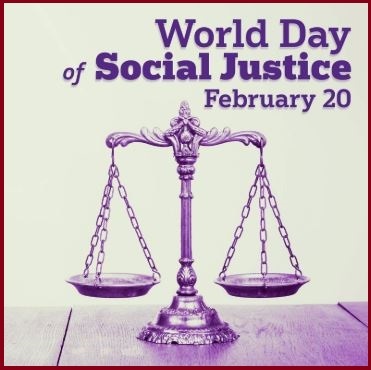 The World Day of Social Justice is celebrated every year on February 20 around the world to recognize the need to promote efforts to tackle issues such as poverty, exclusion, and unemployment. To mark the World Day of Social Justice, UN and International Labour Office annually organize several organizations to spread the importance of social justice for people. The World Day of Social Justice 2019 Theme is “Workers on The Move: The Quest for Social Justice”. The World Day of Social Justice was instituted by the United Nations General Assembly (UNGA) in 2007 in accordance with the goals and objectives of the World Summit for Social Development and the 24th session of UNGA. According to the United Nations, social justice means the removal of barriers that people face in the name of ethnicity, gender, age, religion, disability, and culture. It is an underlying principle for prosperous and peaceful coexistence within and among nations. Observance of this day must support efforts of the international community in poverty eradication by promoting full employment and decent work, access to social well-being, justice for all and gender equity.